We continue our marketing campaign for Antiaging Nootropics with a series of infographics. 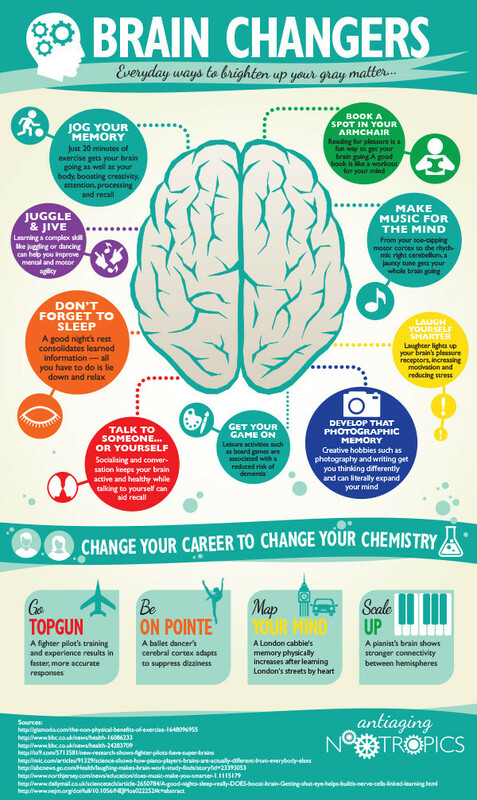 For the content for this graphic, we started with the notion that the brain is adaptable at any age, not just in your youth, and discovered all of the things that can help you keep your CPU (cranial processing unit) running at a great pace. Give them a whirl, and let us know how you go.